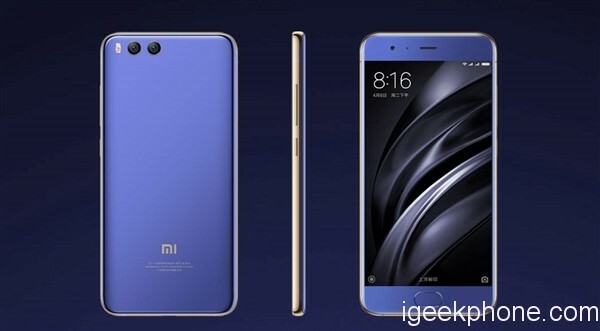 After releasing Xiaomi MI6 RAM 6GB version, we are so surprised, after all when we heard the rumor first, Xiaomi MI6 specs will be at least RAM 4GB. But although Xiaomi MI6 released RAM 6GB, the price also sells at 2,499 yuan, $600 or more, which is the most expensive one compared with previous MI series. But right now there is good news, Xiaomi MI6 will have low version, which has been spotted at TENAA. From TENAA, Xiaomi MI6 will add RAM 4GB ROM 64GB internal storage version on September 19, other specs have not been leaked. This Xiaomi MI6 4GB version will be the exclusive sale for Chinese Single’s day on November 11, which will have limited quantity. For most users, RAM 4GB is large enough to use, as for other specs, it has not changed, it still has 5.15 inch FHD screen, powered by Snapdragon 835 Octa core 2.45GHz processor, coming with dual 12MP rear camera, 8MP front camera, supporting 4G LTE network, dual SIM card, dual standby, Bluetooth 5.0, etc. If Xiaomi MI6 4GB version sells at 2,299 yuan, $383, will you consider it? To enjoy more News, Updates, review, and giveaway to join our facebook group and facebook page.